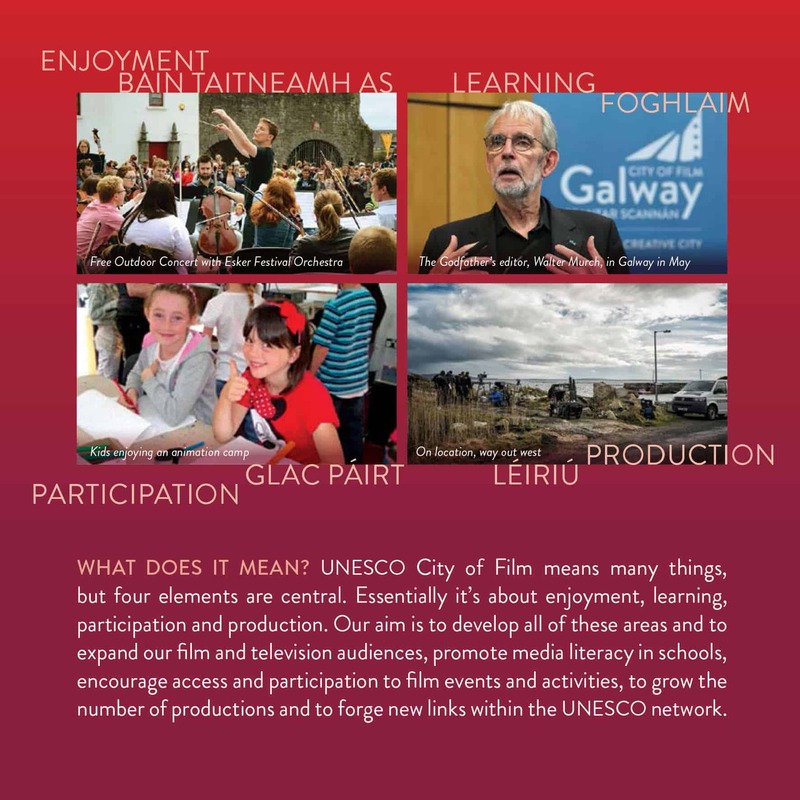 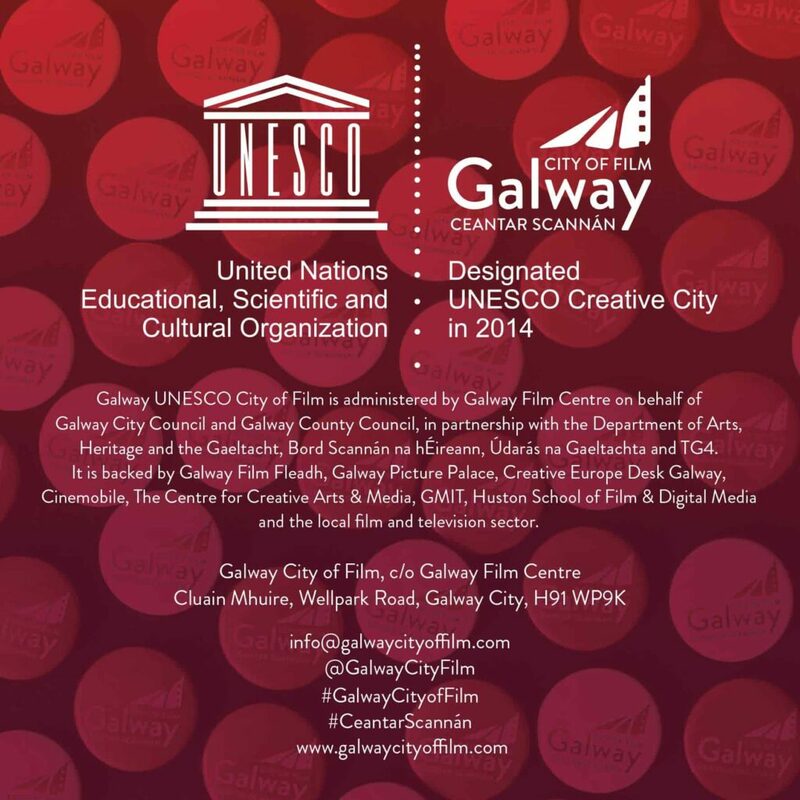 On December 1st, 2014 UNESCO Director-General, Ms Irina Bokova announced that Galway was designated a UNESCO City Of Film. 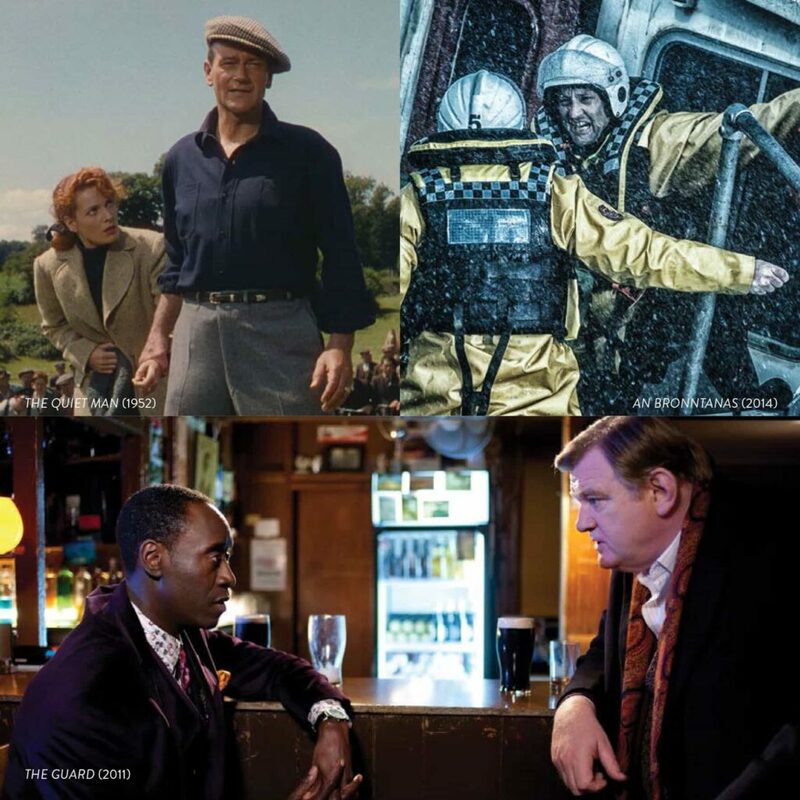 Under the United Nations Creative Cities Network, Galway is now one of only eight film cities in the world to achieve this much sought-after status. 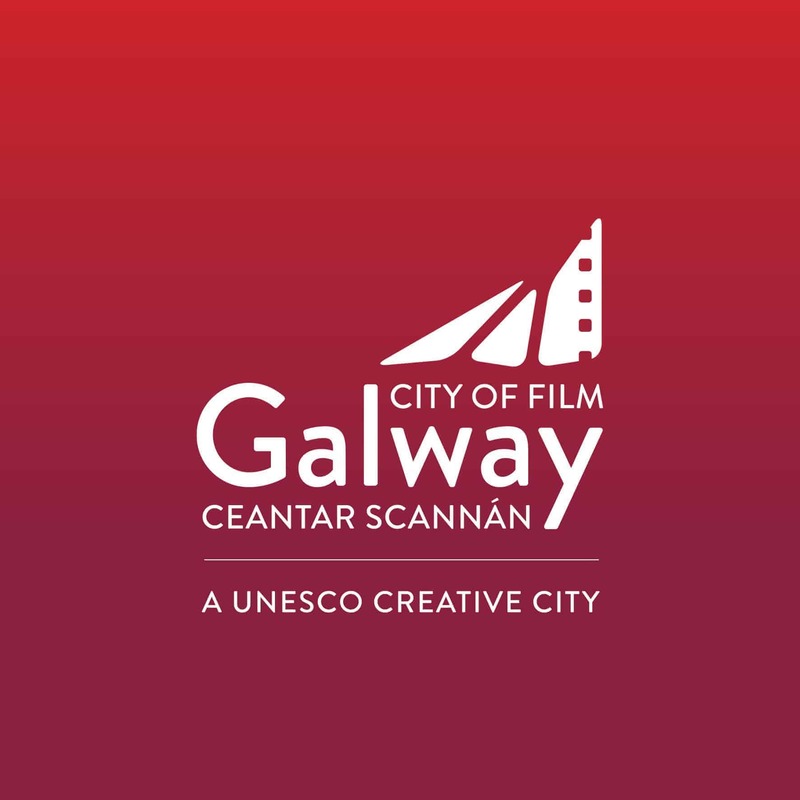 Galway joins Sydney; Australia, Busan; South Korea, Sofia: Bulgaria, Bitola: Macedonia, Rome: Italy, Santos: Brazil and Galway’s twin city of Bradford in the UK as a designated City of Film. 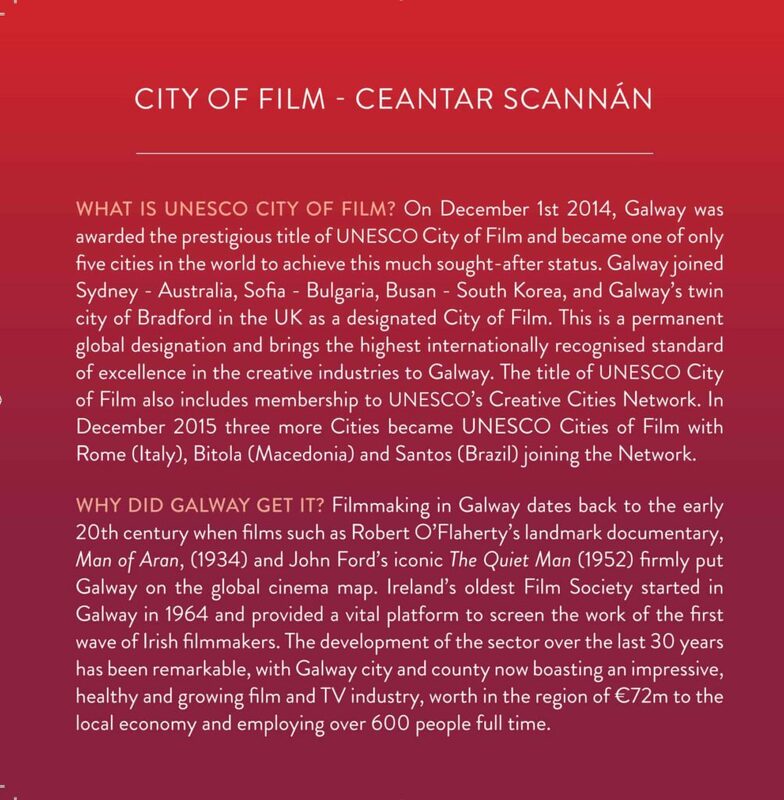 This is a permanent global designation. 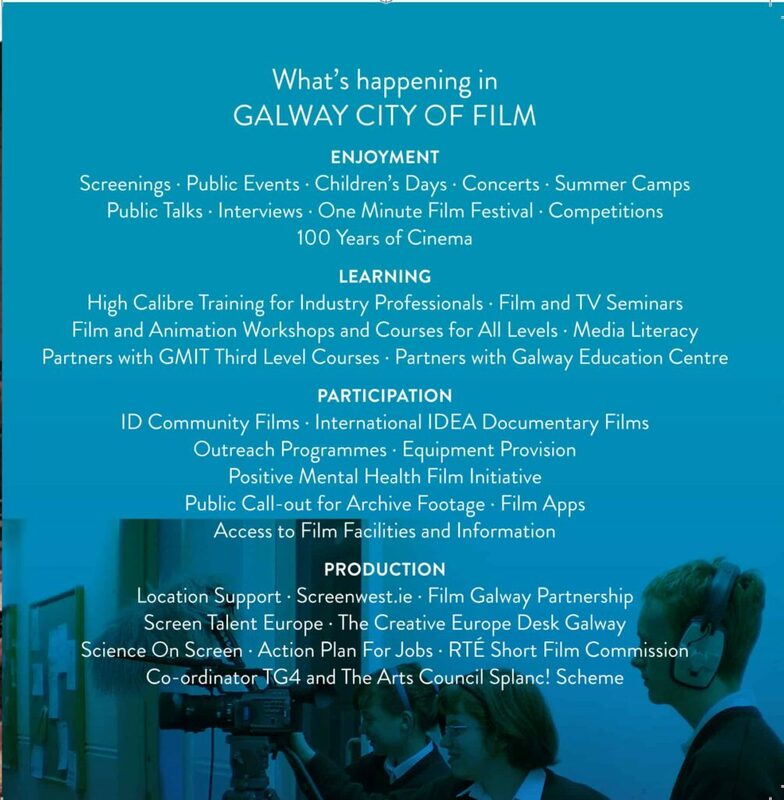 This status brings the highest internationally recognised standard of excellence in the creative industries to Galway. 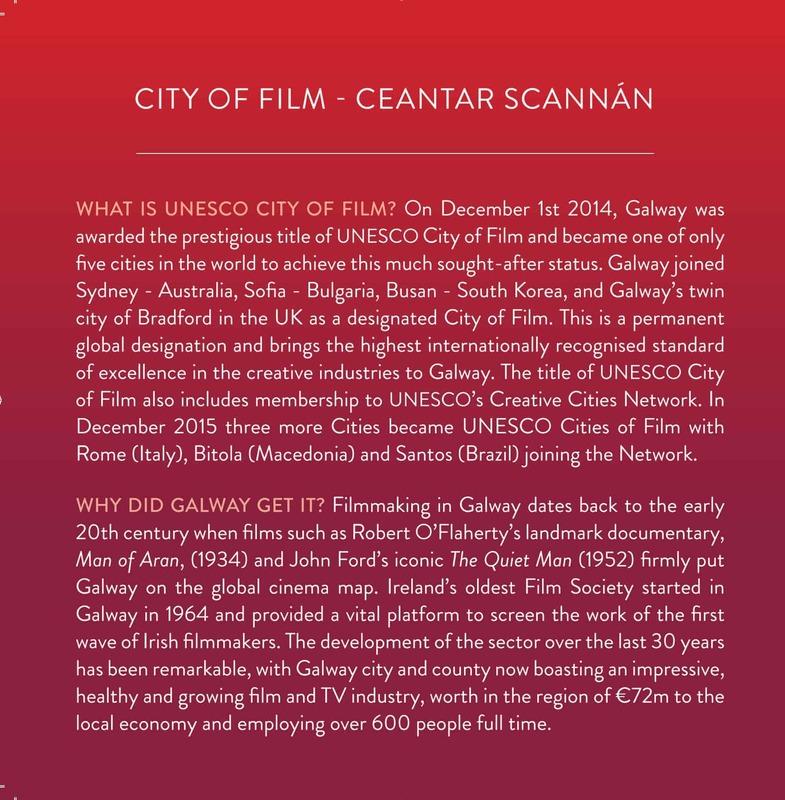 The title of Creative City of Film also includes membership of UNESCO’s Creative Cities Network. Galway is only the second Irish city to be recognised by UNESCO. 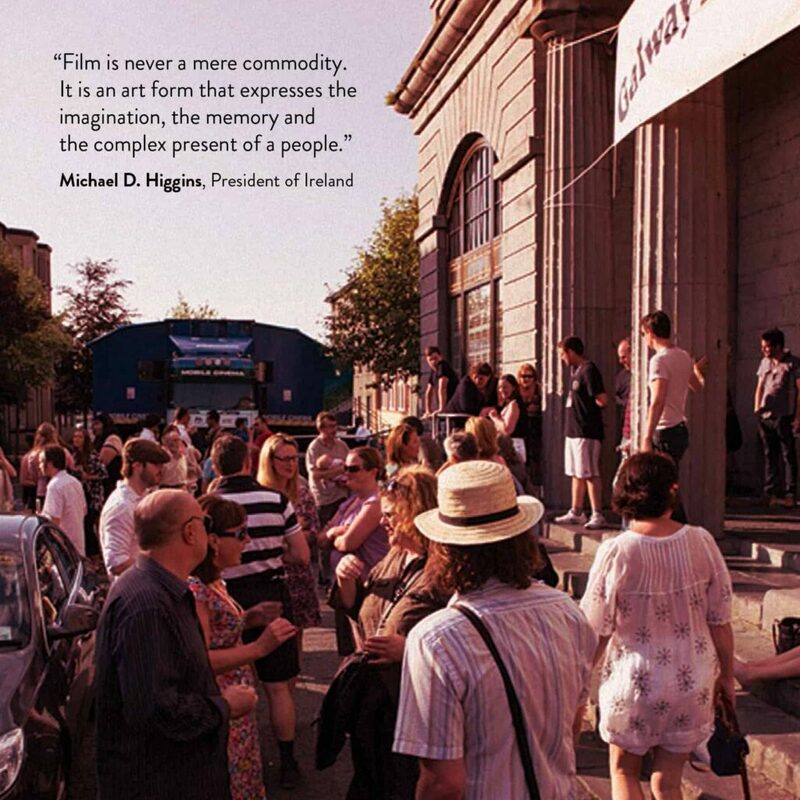 Dublin won UNESCO City of Literature in 2009. 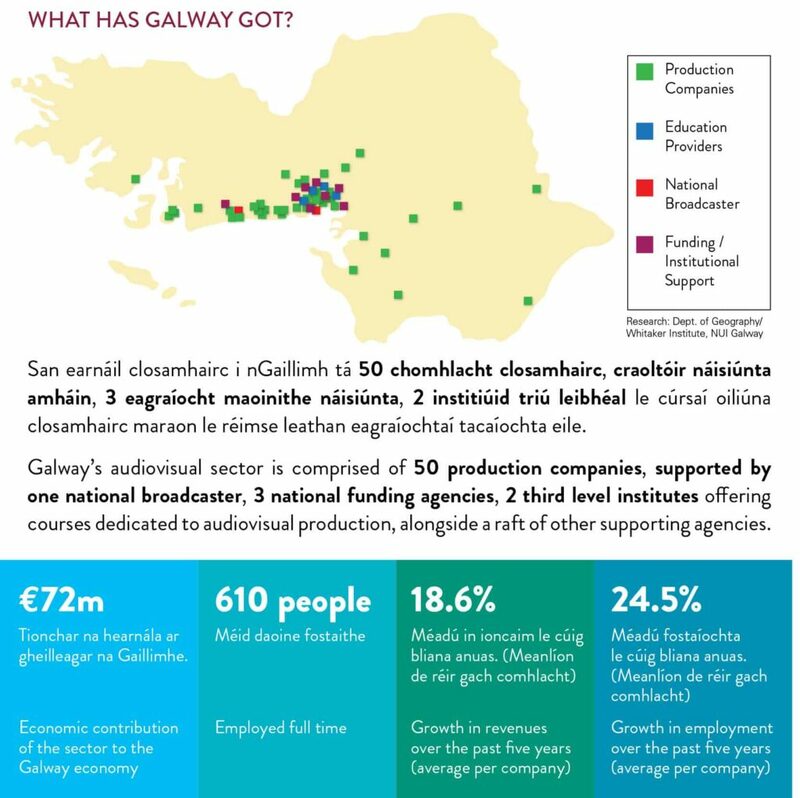 Galway now celebrates this historic achievement and looks forward to the next chapter as a world centre of excellence and creativity.